The sense of hearing is an incredible process. Discover how our ears and our brain work together, so that we can hear the world around us. Sound waves, which are vibrations, enter through the outer ear and reach the middle ear to vibrate the eardrum. The eardrum then vibrates the ossicles, which are small bones in the middle ear. The sound vibrations travel through the ossicles to the inner ear. When the sound vibrations reach the cochlea, they push against specialised cells known as hair cells. The hair cells turn the vibrations into electrical nerve impulses. The auditory nerve connects the cochlea to the auditory centres of the brain. When these electrical nerve impulses reach the brain, they are experienced as sound. We hear when sound waves travel through the air to our eardrum, across our middle ear, into our inner ear, and finally to the auditory centres of our brain. Our ears are always on and are continuously carrying sounds along this hearing pathway. 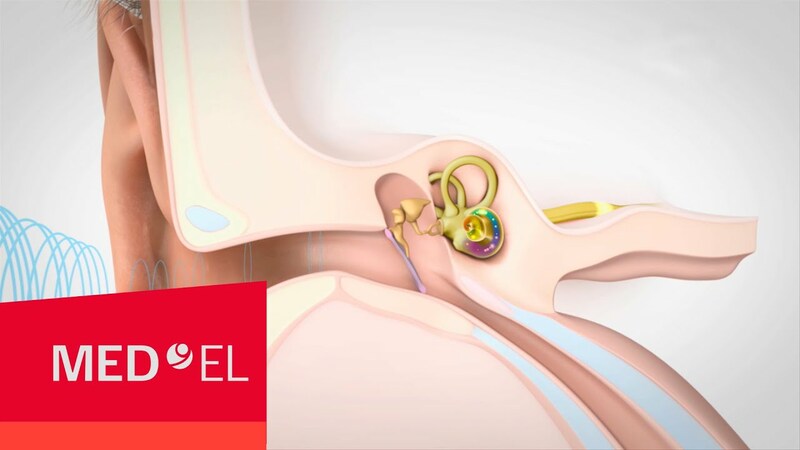 Watch this easy-to-follow video to see the pathway of hearing in action.